Installation using video, multi-channel sound, field recordings, paper and fishing wire. 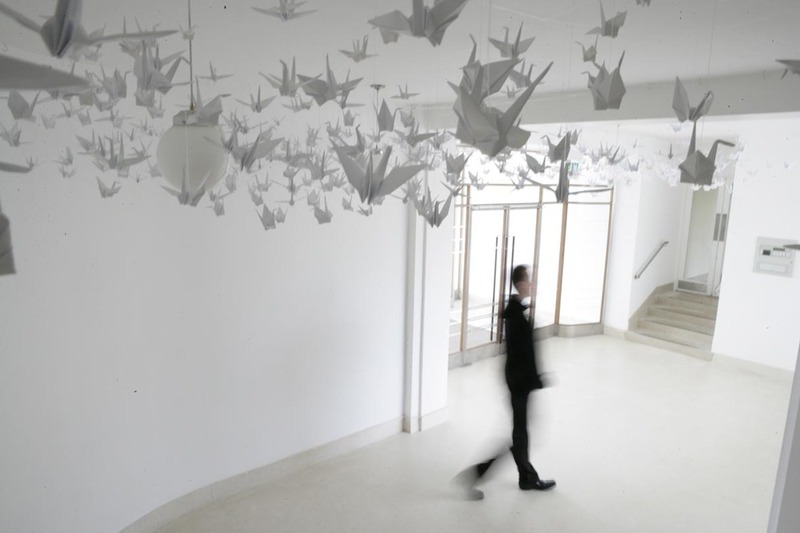 1000 origami birds were suspended from the ceiling in the foyer at Embassy Court, in the starling swarming formation of the murmuration. Commisioned by Bluestorm and funded by ACE to celebrate the redevelopment of Embassey Court, Brighton, U.K. built in 1934. Video created as part of the multi-channel sound, video and sculpture installation Murmuration At Embassey Court, 2006, Funded by ACE & Bluestorm. 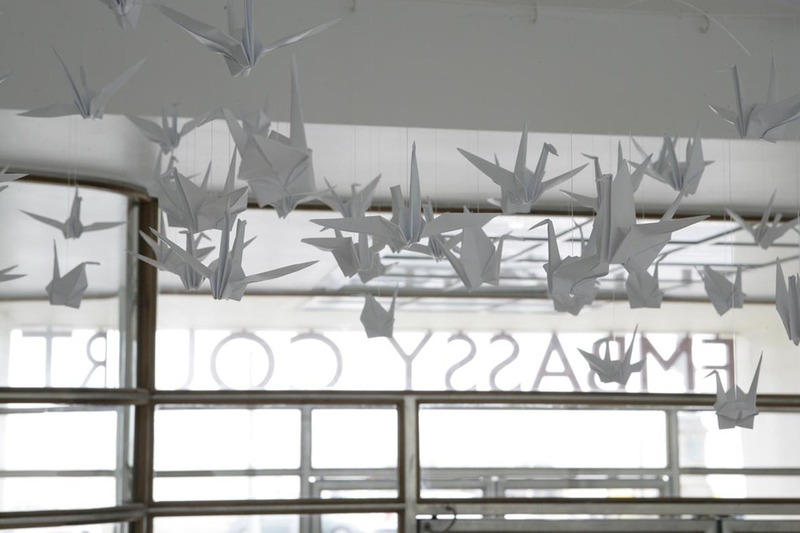 1,000 origami cranes were suspended in swarm formation in the lobby whilst the video was projected onto them and the curved art deco white wall, with the soundscape playing on a 4 channel surround sound.